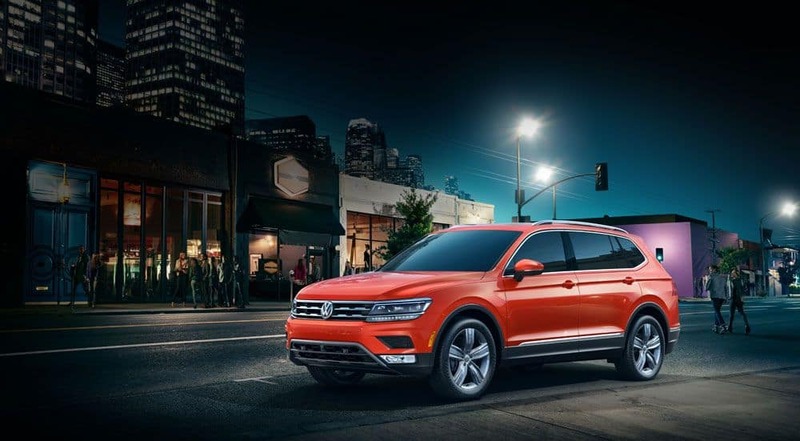 If you are looking for a small crossover with an available third row, the 2019 Volkswagen Tiguan is one of the few that has this option. You will find the cabin spacious and well-equipped with lots of standard tech features. The Volkswagen Tiguan is available at six trim levels: S, SE, SEL, SEL R-Line, SEL Premium, and SEL Premium R-Line. All Tiguan models come with a 2.0-liter turbocharged engine rated at 184 horsepower and 221 lb-ft of torque. The engine is paired with an eight-speed automatic transmission. Front-wheel drive is standard, but all-wheel drive is available and is called 4MOTION®. All front-wheel-drive models come standard with three rows of seats. All-wheel-drive models come with just two rows, but a third row is available. Even with three rows, the Tiguan offers lots of passenger space. Drivers will find the Tiguan has plenty of controls that are well-placed. It is easy to find and use controls for both driving and climate. The overall interior design is pleasing and has a high-quality feel. Standard interior features include a 6.5-inch touch screen, Bluetooth® connectivity, a USB port, VW Car-Net App Connect, and Android Auto™ and Apple CarPlay™ compatibility. Standard safety features include airbags, traction and stability control, a rearview camera, and antilock brakes. The available Driver Assistance package comes with blind-spot monitoring with rear cross-traffic alert, forward collision warning, and automatic emergency braking. The SEL trim adds adaptive cruise control and front and rear parking sensors. The SEL Premium trim comes with automatic high beams, a surround-view parking camera system, and lane departure warning and intervention. 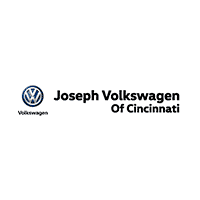 Test-drive the 2019 Volkswagen Tiguan at Joseph Volkswagen of Cincinnati. **21/city/29 highway mpg 2019 Tiguan 2.0L 8-speed automatic transmission. EPA estimates. Your mileage will vary and depends on several factors, including your driving habits and vehicle condition.